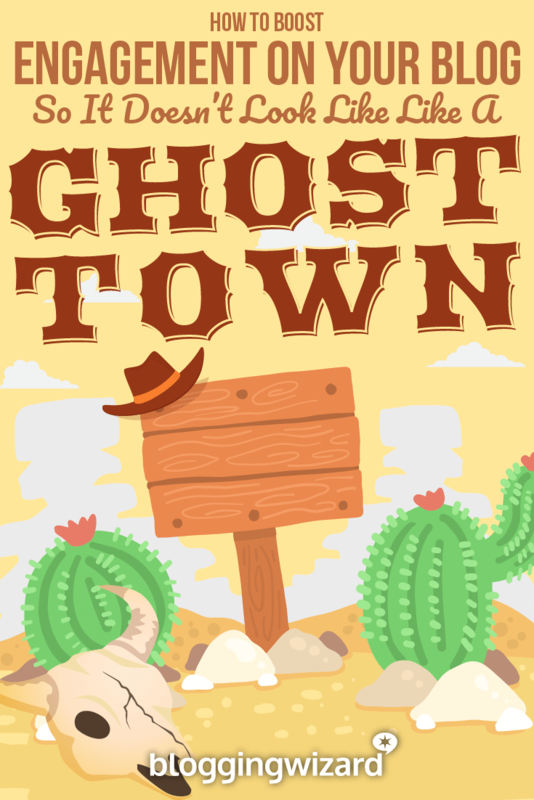 Does your blog look like a ghost town? You put so much effort into writing great content, and it deserves more engagement. So how can you encourage your readers to engage with you? It could be in the form of blog comments, mentions on social networks, mentions on other blogs or something else. You can make it happen and in this post I’ll show you how. Your audience is the foundation of your blog, they are the reason it exists. So it makes sense that you would need to understand exactly who they are, what they need help with and exactly how your blog can help them. My blog helps ____ who ________. My blog helps small businesses who want to get more clients. Once you’ve answered this question you can move on to creating personas for your target audience. A persona is just a profile of your ideal reader where you’ll answer other questions covering demographic information, goals, challenges and more. You can target a broad audience overall, but it’s worth crafting content for different sub-groups within that target audience. For example, if you run a marketing blog you could craft specific content to target freelance marketers, agency marketers and in-house marketers separately. What if you don’t have enough information on your target audience? There a few ways you can get some awesome information to help you. Analytics tools like Google Analytics and Clicky are a good place to start for quantitative data but you’ll glean the best insights from qualitative sources such as survey’s and polls. Typeform is a great solution for this. Allowing you to create surveys for free which you can send to your email subscribers and/or social media followers. Another good option is to find a forum or online community where your target audience hang out. You can search through posts to find exactly what people need help with. And there’s a good chance you’ll get a bunch of great content ideas too. Does your audience know how you can help them? When someone visits your blog and reads your about or start here page, they need to easily identify how you can help them. Immediately, anyone reading that page knows how Stefan’s blog can help them. User experience is everything and if you want people to come back to your blog, improving that experience is extremely important. You’re already publishing great content, but how can you improve things further? How can you make content that is so good that people can’t help but tell the word about it? This does mean investing more time into crafting blog posts but the benefits of doing so are awesome. And it’s these types of “pillar” posts that form the foundations for a lot of blogs. Aside from more engagement, they also generate more traffic and earned links providing you put the time into promoting them effectively. Headlines can make or break the success of your content so it’s no surprise that the web is full of tips that can help you out here. But before you consider using any of the advice you’ll find online, it’s important to remember that your headline is a promise and your content must deliver. If your content doesn’t deliver on the promise your headline makes, sure, you may get plenty of traffic but chances are you’ll have the wrong traffic. And it’ll annoy people – never a good first impression to make! The results can include more traffic, engagement and the foundation of a relationship with other bloggers – it’s those relationships that will pay dividends in the future. Don’t mention other bloggers for the sake of it – If mentioning someone won’t help your audience, then don’t mention them. If mentioning them backs up your point or provides a great example, go for it! Let bloggers know when you’ve mentioned them – The important thing here is to avoid pushing people to leave a comment or share your comment. Just give them a heads up and let them know why you mentioned them. Looking out for trends and being the first to write about them is a great way to grow your audience and increase engagement at the same time. Reading larger publications in your industry can be a great way of spotting these trends; you can then publish a post as a response. Ann Smarty wrote a great guide on how to monitor and write newsworthy content, well worth reading. When you are looking to encourage engagement and get more comments from your readers, post frequency is an important factor. If you publish too frequently, some of your readers won’t be able to keep up so the average number of comments you receive may drop. Content length comes into effect here too, because when you publish longer content, it takes more time for people to read. It comes down to finding a balance between content length and content frequency. And it will likely vary from niche to niche so it’s worth experimenting with this to find the perfect balance – there is no perfect answer here. 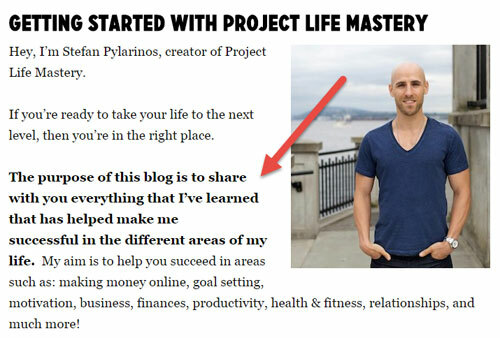 There is a lot more that you can publish other than straight up blog posts. When publishing different content types you can expand the reach of your blog and tap into an audience that you wouldn’t have had access to previously. For example, some people prefer podcasts to written content. I’ve had a lot of success with group interviews in the past, they’re time consuming to put together but the fact that a lot of other people are involved in the content creation process is a great catalyst for engagement. My last group interview on how to build an online presence had over 5,000 visitors in a few days and ended up receiving 2,100 social shares. There were a good amount of comments and some great mentions on other sites. The post was turned into an infographic and published on TweakYourBiz.com where it received another 2,000+ shares and over 32,000 visits. Just by varying the content you publish, you can get some great results but when you repurpose that content into other types, you can take engagement and visibility to new heights. For a lot of blogs, around 75% of visitors will never return. The most effective solution is to offer a free download in exchange for joining your email list. By doing this you’ll be able to send updates on your new content to people who may not have subscribed otherwise. The free download you offer could be an ebook, template, checklist, discount code or something else. Exactly what you choose will entirely depend on your blog, your offering and your niche. 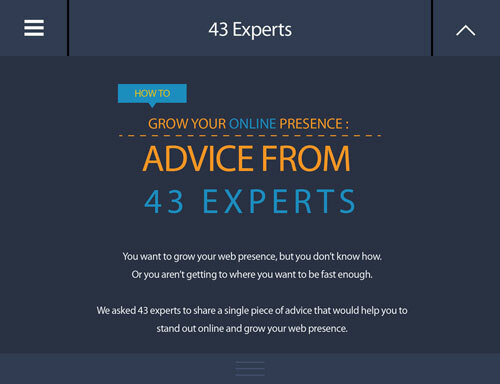 For more information on building an email list, check out my ultimate guide. Sometimes all it takes to boost engagement is to ask a question. You could ask questions in the emails you send to your subscribers or you could ask questions at the end of blog posts. Where and when you choose to ask questions depends entirely on what your goal is with your content. For example, on some posts you may prefer to not ask a question and encourage your readers to take action on a particular piece of advice instead. If you’re serious about engagement, responding to comments is essential. It can help you get to know your readers better and start building a more meaningful connection with them. You’ll likely get some helpful feedback too. How manageable this is will depend on the number of comments you receive. Sure, you may not be able to respond to them all but it’s worth trying to respond to as many as possible. 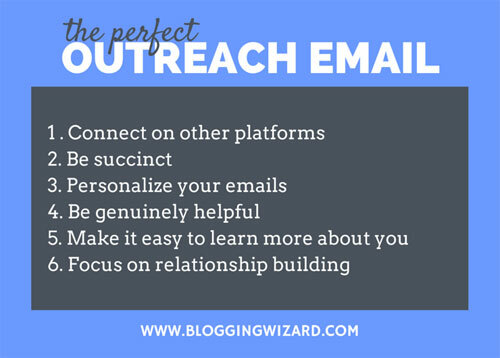 A big part of engagement is networking and building relationships with other bloggers. And one of the best ways to do this is to leave helpful comments on other blogs in your niche, particularly those where the author responds to comments. If you want to build an online presence, you need to be present, particularly in the communities, forums and social networks where your target audience hangs out. The key here is to keep the focus on building relationships and helping others, rather than dropping links to your content. The more helpful you are the more goodwill you’ll create and the more influence you’ll have. In order to get more engagement, you need to grow your audience. One of the best ways to do this is to start contributing to other blogs in your niche, particularly those with an extremely engaged audience. When you first start out, you may want to contribute to smaller blogs and work your way up to the larger blogs. All it takes is a quick Google search to get started – there are plenty of lists of the top blogs in various niches which you can use and there are communities/social networks you can use to find too. It’s unlikely that you’ll get floods of traffic when you start guest posting but that should never stop you because the traffic you do get is targeted and more likely to engage with you. Some people may read a few of your guest posts before taking the next step of visiting your blog to learn more about you, so the more visibility you have, the better. For every guest post you publish, you’re creating another way that people can get to your blog and follow along. Some bloggers get a lot of guest post pitches. Most of them get deleted instantly because they’re so badly written. And most of them are just templates with no personalization. This gives you an opportunity to make your pitches stand out by writing personalized emails which aren’t based on generic templates. I’m talking about REAL emails. We’ve talked through a bunch of tips you can put into action quickly. Pick one from the list, try it and see how things go – you may not see an increase in engagement immediately but like blogging in general, it’s about having a long term strategy in place.